Interested in similar image transfer projects? Check out How To Print Pictures On Wood and How To Transfer An Image Onto Glass. 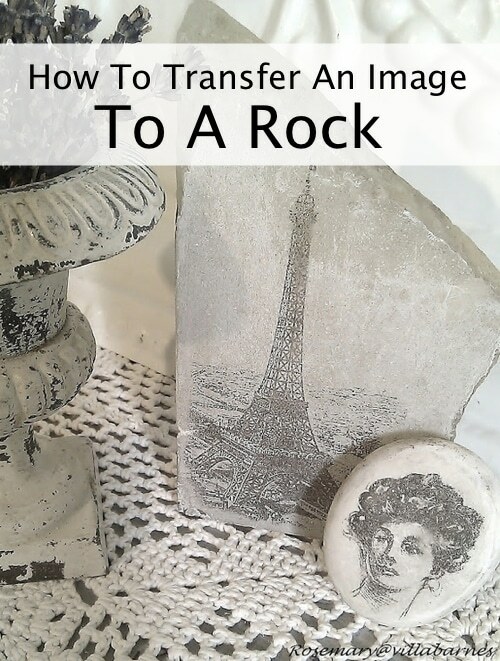 This tutorial explains how to transfer images or photos on rocks. This is great way to accent a special photo or image and turn it into an art piece to accent your room decor. Also, this is an inexpensive project that easily allows you to make personalized gifts for those special, yet hard-to-buy-for-people in your life. P.S. Photos capture special moments to be treasured forever. Make sure to keep your family pictures (even those only a couple decades old!) safe. 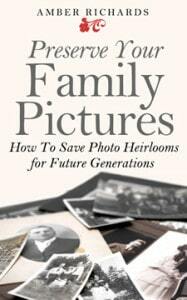 Learn how to correctly preserve and save your treasured family photos to pass them on to your kids and grandkids with Amber Richard’s instructional book Preserve Your Family Pictures: How To Save Photo Heirlooms for Future Generations.